A fine French violin bow by Charles Nicolas Bazin ! 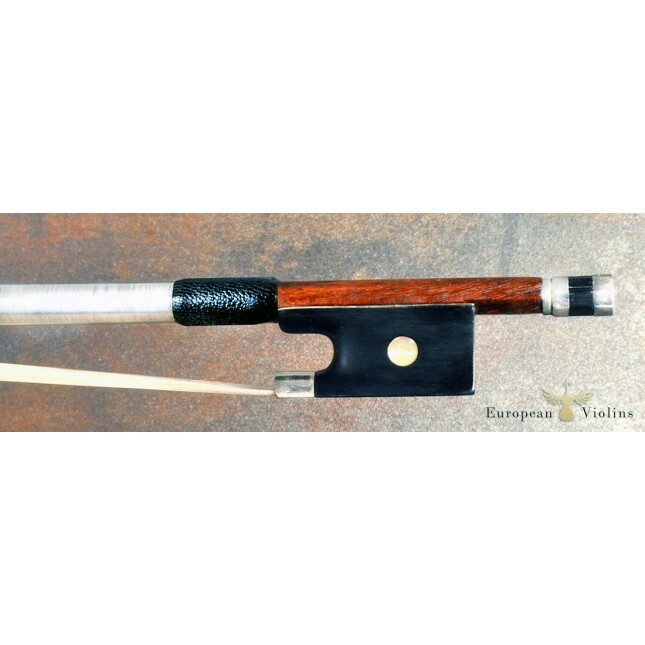 A fine professional violin bow made by Charles Nicolas Bazin (made around 1900) - certified by JF Raffin. 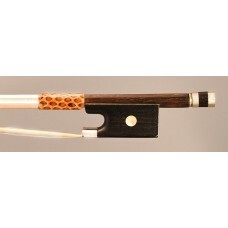 He was a great craftsman and was responsible for producing a great many bows that are still in demand. 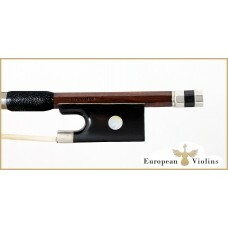 In his Mirecourt workshop, he employed some of the most famous bow makers. 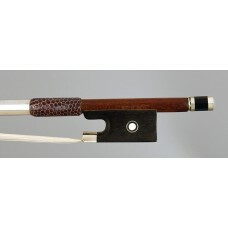 In the first six years of the 1900s there were between 12 and 17 makers producing some 2 000 - 3 000 quality bows a year. 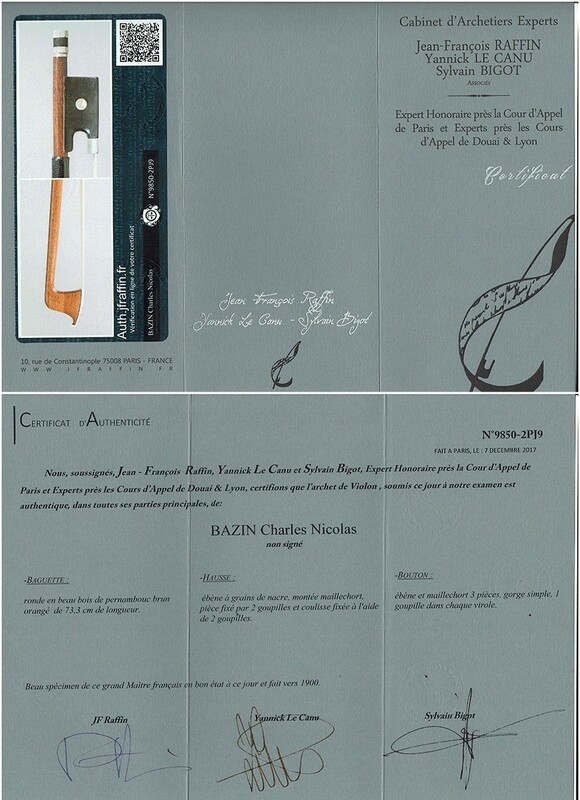 The makers included: Fetique Brothers, Claude Husson, Granier, Lorange, Tournier, Delprato, Ouchard, Jacquemin, Dumont, Couturieux, Richaume, Bourgeois, Bontemps. He died on 6 December 1915. Charles Nicolas spent fifty-six years of his life devoted to making bows.